Is Your Foreign Degree Valid? HomeAll Posts...Is Your Foreign Degree Valid? Before you are actually spending your money and your precious time in the university you are willing to pursue your education it is very important to be sure about the accreditations and recognitions with that particular university. You should ensure whether the university is a part of the genuine governmental bodies or not. 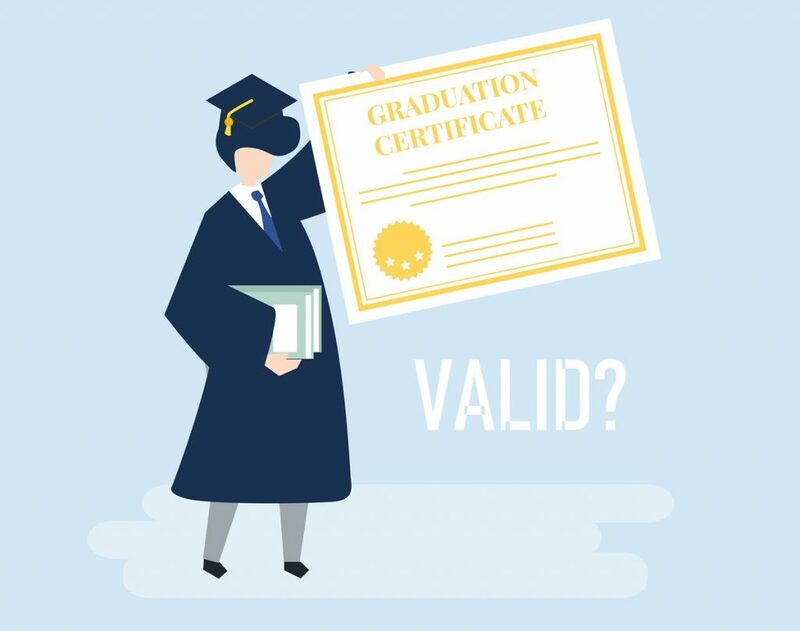 There are few indicators for assessing the validity of your degree. You should check if the university you are willing to enroll has the reciprocal arrangement with the Indian Universities as it is important that the institution should be well accredited. If the University has tie ups with reputed Indian Universities as it plays a high weightage on validity of your degree. Degrees are somewhere evaluated from the prestige of the institute that you have got it from. When we talk about talk about the Oxford or Harvard they don’t need any accreditation as they are the prestigious institutions and well known. Accordance is one of the important factor that determines the validity as it has the legal authority for the degrees which any institute provides. It is an agreement which validates the degree and provides equivalence to the degree across the globe. You should also ensure that the university your are choosing has the global recognition or government accreditation by the local or international agencies and are the genuine degree providers. AUI provides the equivalence certificate for foreign qualifications. All the respective professional councils like Medical Council or Bar Council have to maintain the AUI for their equivalence with the foreign education. If you wish to return back and practice in any of these fields you need to be in contact with them. When we select the university don’t be selfish and opt for the one which is offering the less fees as compared to other universities. If majority of the universities are charging a particular amount for the same program and if the other is charging too less then you should think over it once. Quality comes with price you should understand the difference in that and opt for the university accordingly. If we know that the universities take 4 years to complete a particular course and we see that this university is doing it in 1 years time then you should definitely examine the university carefully and be very alert in taking that university as an option and putting money into it because there can’t be so much of difference in the course duration if the validity of the degree is same everywhere.